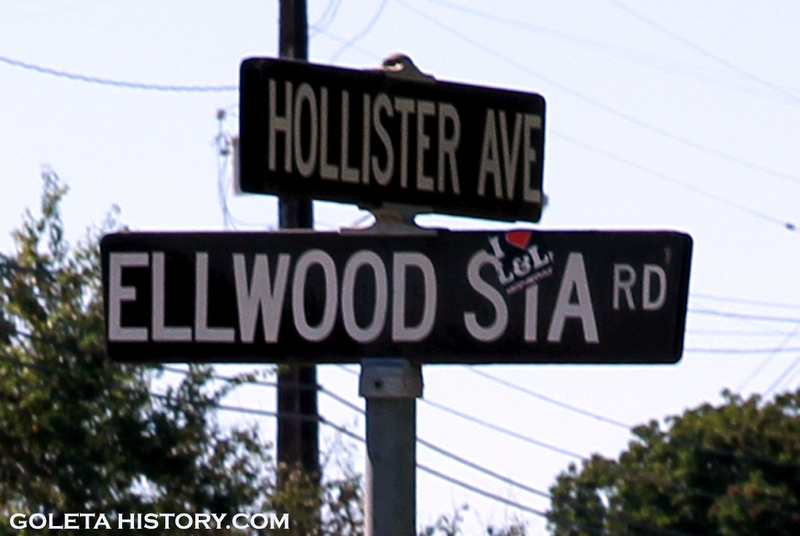 Have you ever noticed there’s a street off Hollister Avenue in western Goleta called Ellwood Station Road? You may not have, because there’s not much on it and it goes pretty much nowhere. But in the late 1800’s this road led to a very important train station, and the end of the coastal railroad route for more than a decade. 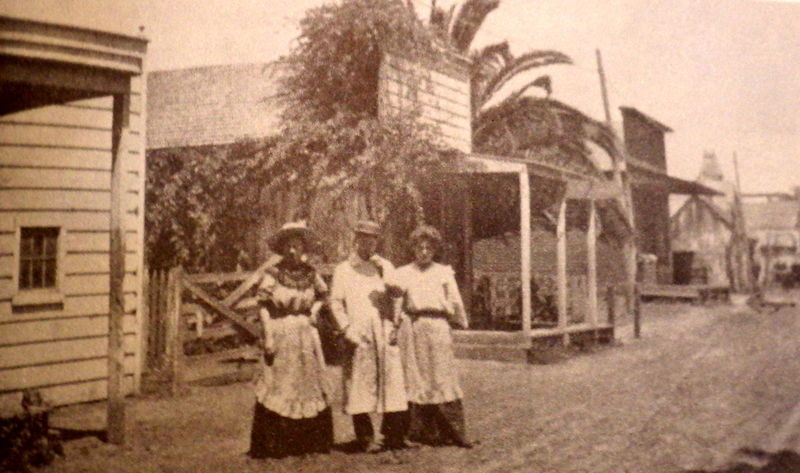 Goleta in the 1880’s was a small agricultural village. Pretty isolated from the modern world. If you wanted to take a trip out of town, it was either by stagecoach or steamship. But a big change was coming up the coast in the form of steam engine locomotives. 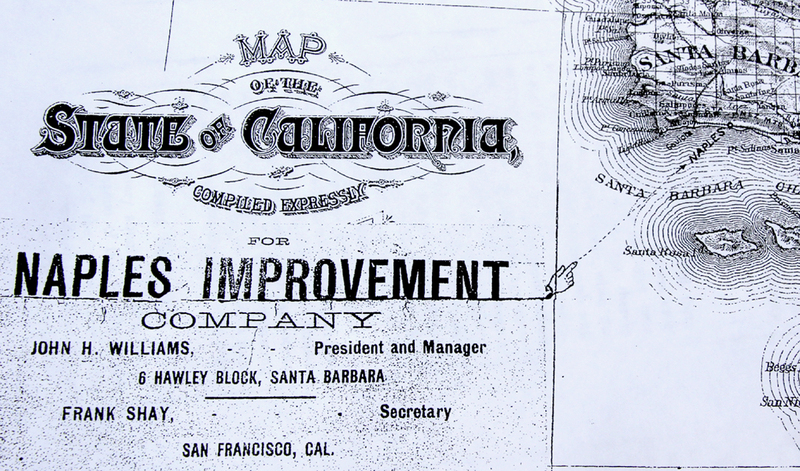 The Southern Pacific Company, nicknamed “the Espee”, was on a mission to have a coastal line throughout California. The iron horse would put an end to the era of steamship and stagecoach transportation. 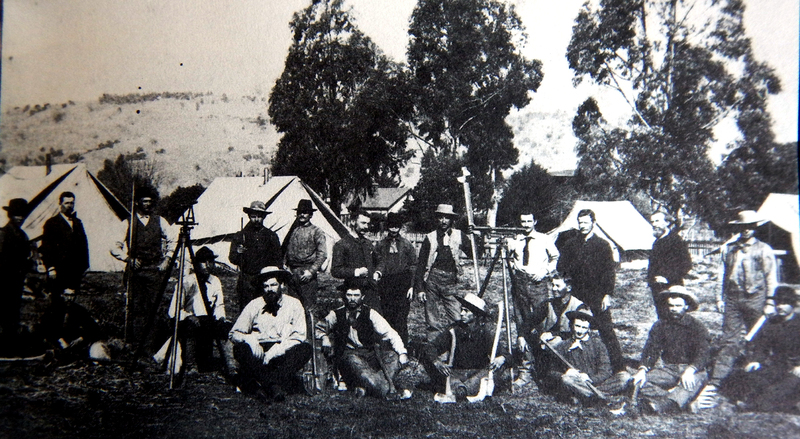 The Espee crews were working hard to build the Coastal Route from Los Angeles to San Francisco and things really picked up in Goleta when the railroad reached it in 1887. Suddenly the little farm town had much easier access to the rapidly expanding cities in Southern California. Due to financial woes for Southern Pacific and a downturn in the economy, the connection to the biggest city in California, San Francisco, would be delayed until early 1901. The tracks from the north ended on the coast near Lompoc at Surf and the tracks from the south ended in Goleta. That gap that separated the north from the south existed for 14 years and it’s often referred to as the Ellwood Gap. 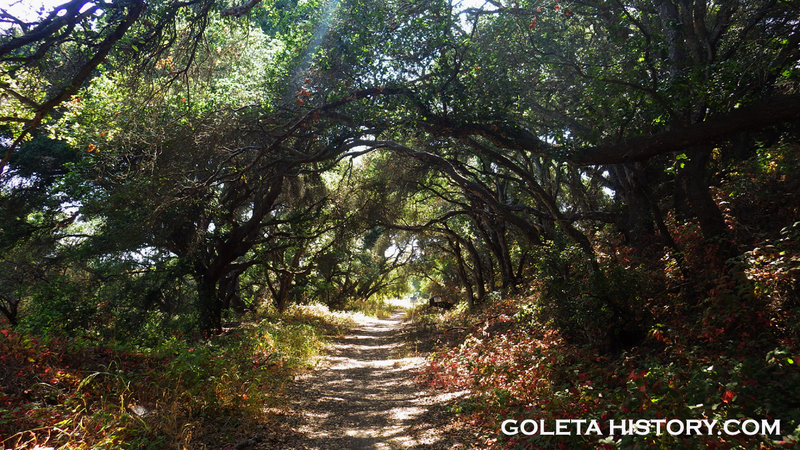 This first railroad followed a different path through Goleta until 1901, when it was changed to where it is today. The green highlights today’s train tracks and the red shows the original route of the old railroad. 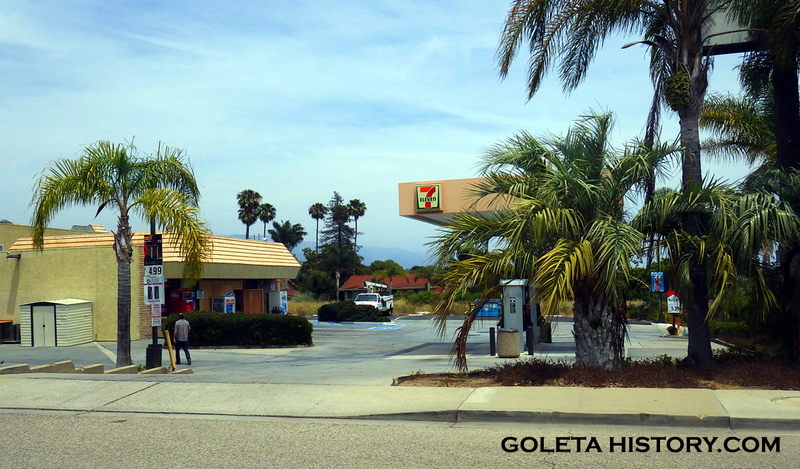 It entered Goleta via Hope Ranch on what is now Vieja Drive, and followed the contour of the land along the More Mesa. Following the route of the old railroad feels like you’re traveling back in time. 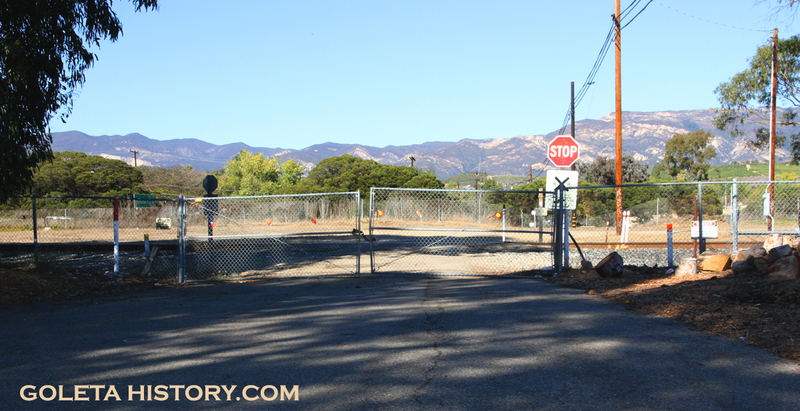 While Vieja Drive is mostly closed to through traffic today, it can be viewed from Modoc Road. It’s not hard to imagine an old steam engine chugging through the oaks and around this bend. The tracks then skirted along the northern edge of the More Mesa. The route still exists today as a beautiful trail alongside Atascadero Creek. From the mesa, it crossed the lowlands near the slough on a half mile long trestle, high enough for farmers to drive their wagons under. Local boys would make a game of grabbing on to the trestle when driving underneath and see who could hang on the longest. Today that trestle would be below ground level, due to the repeated flooding of Goleta’s creeks leaving tons of sediment across the swampy area. 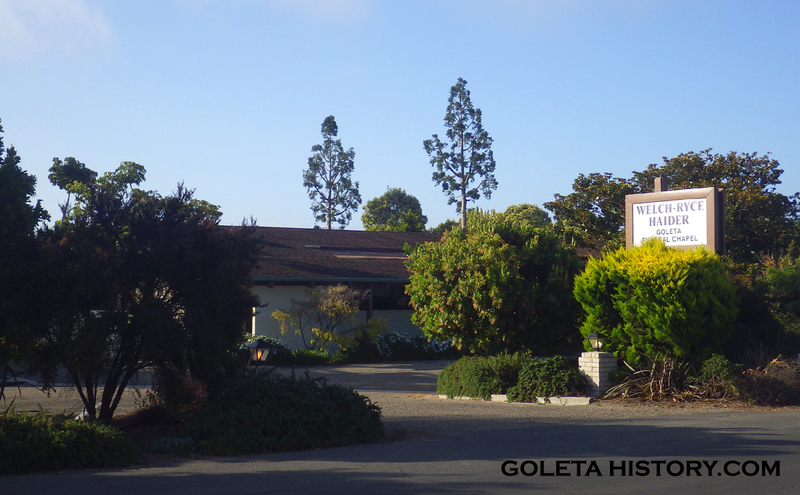 The tracks led to the first Goleta train station, located at what today is 450 Ward Drive. 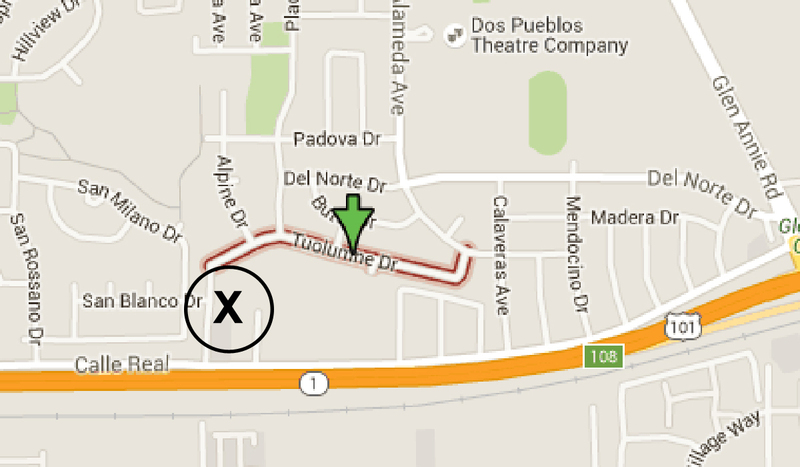 A second station was located where La Patera and Hollister Avenues meet. From there it continued west, connecting with the modern route at Bishop Ranch just before Glenn Annie. Shortly thereafter, the tracks veered to the north and then back to the south, following what is today Tuolumne Drive, and coming to an end at the Ellwood Station, where a turntable was built, shown by the X. Today, the location of the turntable is the Padre Shopping Center. 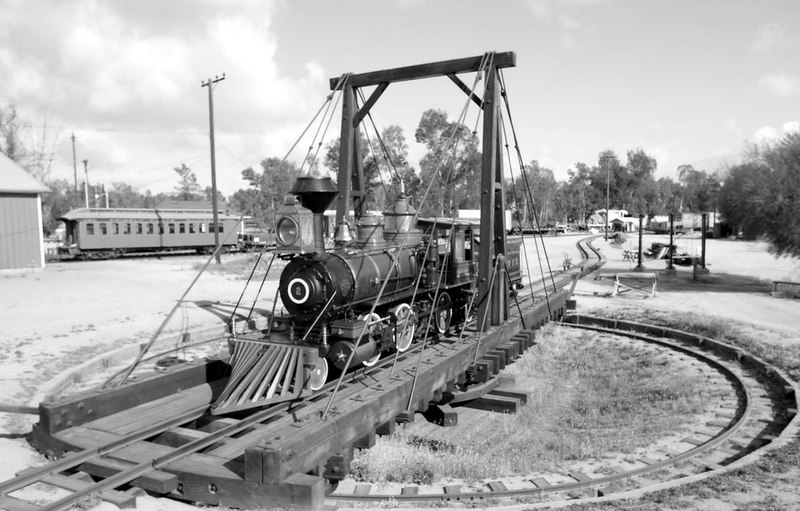 There are no photos of the Elwood turntable, but this is how it looked. It was pretty basic, and the train had to be spun around manually. Sometimes local kids would get the “privilege” of helping the crew push the Ellwood turntable around to point the train back to Santa Barbara. 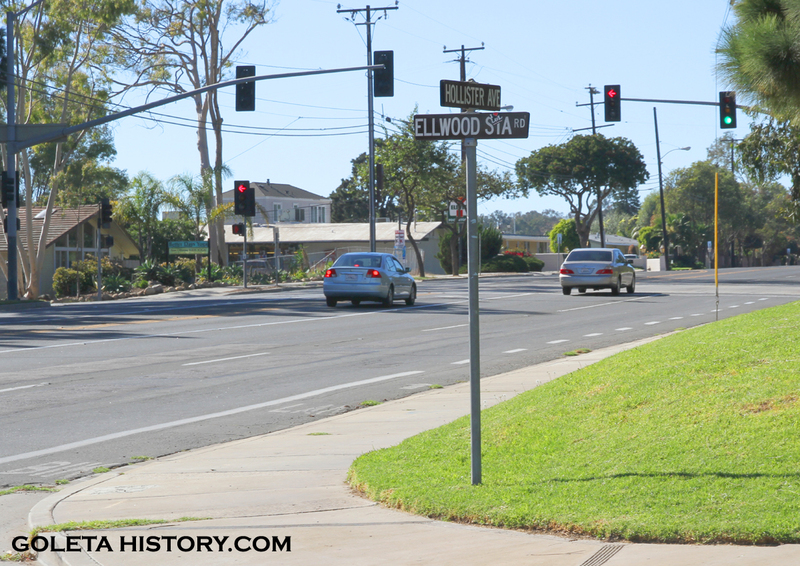 The short stretch of road between Calle Real and Toulumne, north of the freeway, also still carries the name Ellwood Station Road. 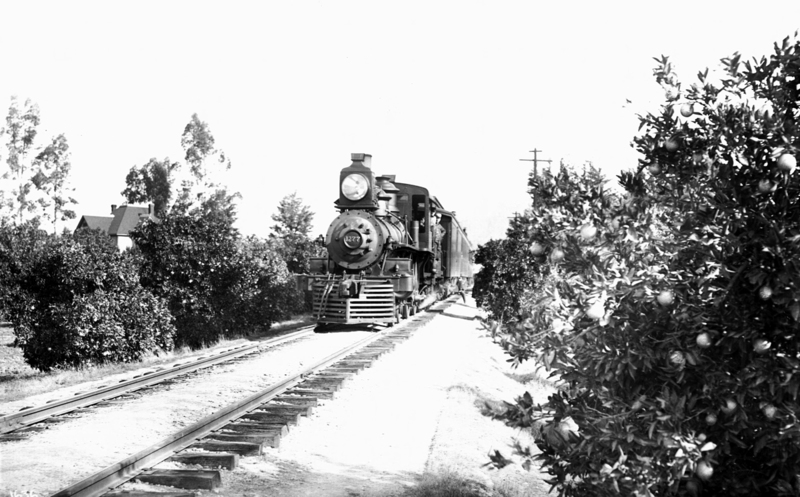 In order to maintain its right of way through all the private properties it traversed, the Espee had to run a regular weekly train from Santa Barbara to Ellwood and it was nicknamed, the “Ellwood Special”. The “Special” was just a baggage car and a couple of rickety wooden daycoaches and it rarely went more than twenty miles an hour. It ran every Saturday for 25 cents and local kids made a game of stealing rides. Other less daring kids would get a free ride by bribing the crew with baskets of local goods like apples, persimmons, oranges and walnuts. The Espee made a little money from the Goleta line, hauling produce out and farming equipment in, but their biggest customer by far was the Alcatraz Asphaltum Company. 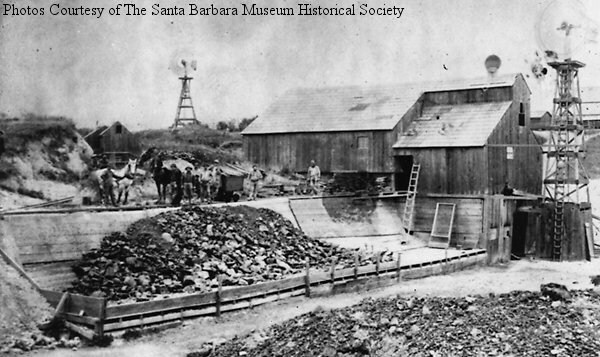 Alcatraz operated an asphalt mine near today’s UCSB lagoon from 1890 to 1898. Chunks of solidified tar were loaded onto horse drawn wagons and delivered to the train station at Hollister and La Patera. 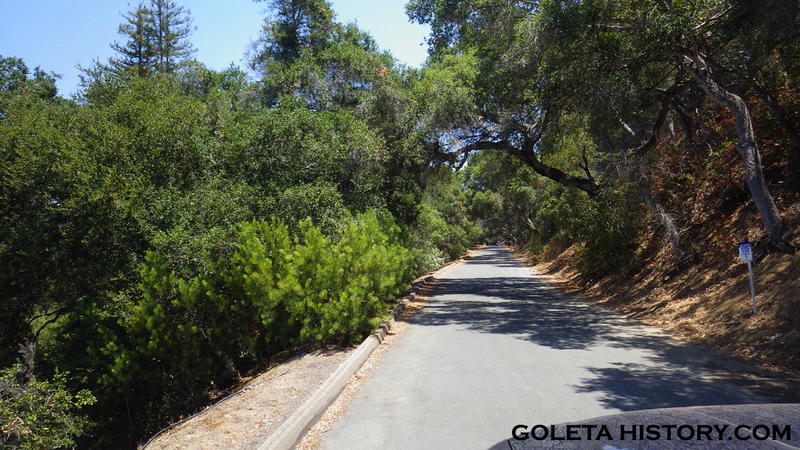 Once on the Southern Pacific line, the Goleta asphalt was distributed all around the country. Perhaps the biggest victim of the Coastal Route stalling at Ellwood was an ambitious developer named John Williams. He had a dream of building an entire town and resort called Naples and it all hinged on the influx of tourists arriving via the new railroad line connecting Los Angeles and San Francisco. Williams took four partners, all executives with the Southern Pacific Railroad, and they guaranteed him the completion of the coastline route would be within a year. His Naples project might have been a grand success if the line had been completed on schedule, but it wasn’t meant to be. His money ran out, as did his health, and he passed away before the train ever passed through his property on the Gaviota Coast. 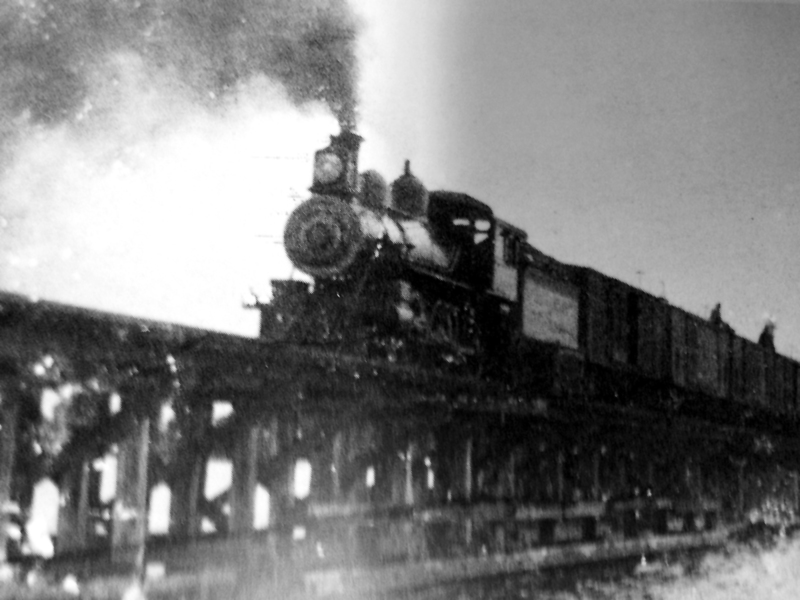 The 80-mile gap between Surf and Ellwood was finally closed with the last spike being driven in on December 28, 1900. The Ellwood Special changed Goleta and exposed it to new technology, but it was all but forgotten when the gap was filled in. The turntable was dismantled and the Espee laid new tracks on the modern route. New stations were built, the new trains went faster and travelers could flow freely from the north and the south and throughout the United States. A new depot was built near the location of the roundabout and named the Ellwood Station. Ellwood became just another one of the hundreds of tiny stops on the way to the big cities. 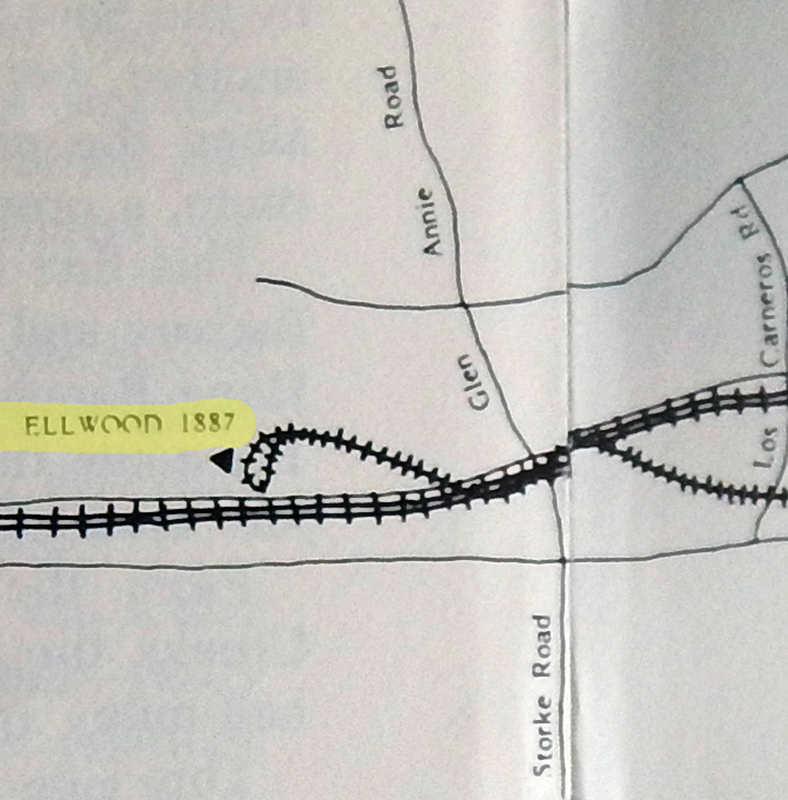 This survey map from 1920 shows the location of the Ellwood Station, probably about the time it was demolished. Sources: Loren Nicholson, Wikipedia, Santa Barbara Museum Historical Society, Historical Society of MC and Sandra Thurlow, Santa Barbara County, Michael Ripley, Justin Ruhge, Walker Tompkins, Russell Ruiz, and special thanks to Gary B. Coombs. Another great trip into local history – thanks Tom. Tom-I’m a lifelong Goleta resident and railroad enthusiast. Your history of the 1887 right of way was very informative. It inspired me to do a little research of my own. I’m 100% sure I’ve found the last piece of the old line remaining in the city of Goleta. If you’re interested, you may contact me. Thanks for all of your great articles. Thank you (again) for such interesting and informative history. I didn’t know any of it until now, but when I lived in El Encanto Heights in the early/mid 60s, I caught the school bus to Isla Vista Elementary School at the corner where the turntable once was. Across the street, on that one block between Calle Real and Alpine, was the most fabulous undeveloped natural playground. It had an area with trees and fallen logs, another right next to it with dirt mounds with large holes that we thought of as caves, and a natural pond that we put a little flat wooden raft on. We neighborhood boys would play our version of “Cowboys and Indians” and we’d divide up sides saying “We get the woods” or “We get the dirt.” I SO wish I had even one picture of that amazing natural playground. My family moved from that tract at the very end of 1965 and I don’t think it was much later that that area was turned into another tract of homes. 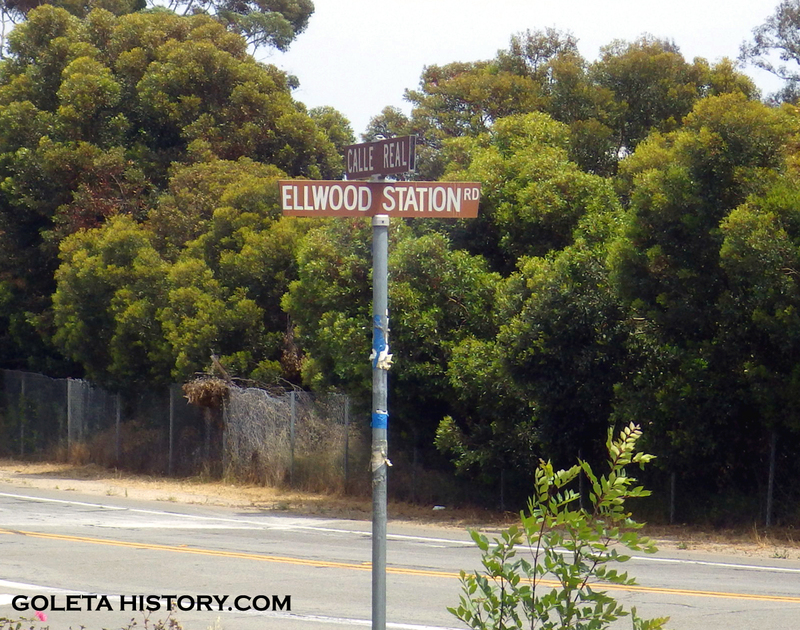 When was the Ellwood Station demolished? 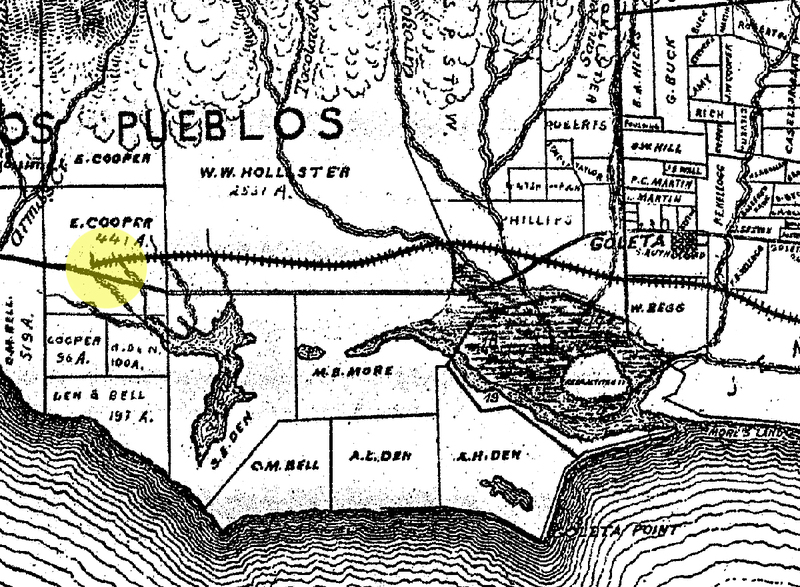 Did you know that DPHS was almost named Ellwood Mesa High? It took a very dedicated community group to change it.